The following are all eighteen mantras and the invocation from Śrī Īśopaniṣad from the original first edition, which was first published by ISKCON Books in 1969. For those of you who like to recite and memorize important slokas, we have compiled this list of the mantras along with the Roman transliteration, and English equivalents. 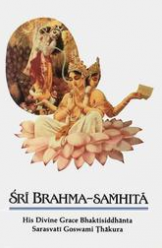 You can click on the ‘print icon’ at bottom of post to print out the entire collection, and you can click on link at bottom for a free pdf download of entire book along with original Sanskrit Text and full Purports by His Divine Grace A.C. Bhaktivedanta Swami Prabhupada.